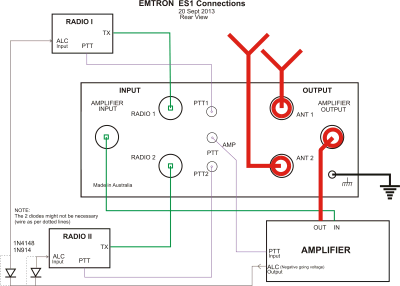 Assign two radios over one amp to two antennas. HF, PTT and ALC can be switched. Input power up to max. 200W, output power of the amp max. 3000W. 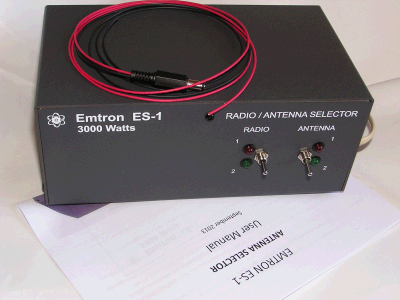 The ES-1A provides protection against switching when transmitting to avoid damages. 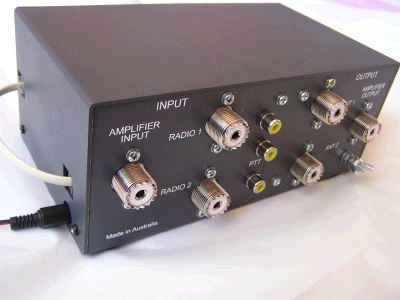 With over 80dB attenuation between input and output the ES-1A protects the receiver of the second device. 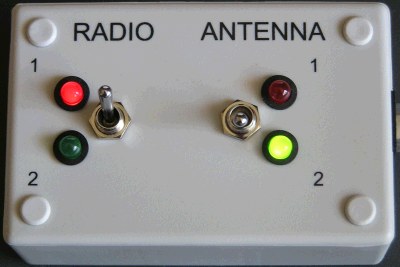 Switching is done with two toggle switches on the front of the device. Power supply 12VDC/150mA.